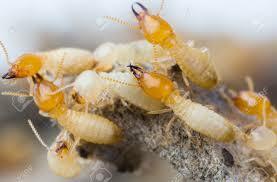 Every Spring brings unwelcome insect pests into your home. Being proactive now can give you the upper hand to prevent unwanted infestations. The following tips can help you manage a pest free home this spring and summer. Minimising potential food sources around your home and property can greatly reduce the risk of pest infestation. Waste, gardens, and pet food all commonly attract insects. Effective pest management includes emptying and cleaning dishwashers, removing unwanted and unnecessary packaging materials from stored food stocks and keeping pet food in a sealed container indoors. Treating your property with an approved insecticide can be your first line of defence against the most persistent pests. Pest Affects use an environmentally responsible, integrated pest management (IPM) approach to control pests. This involves identifying pest access points, harbourage areas and food sources and advising you on a combination of physical, cultural (lifestyle) and chemical controls. We can provide recommendations of actions that you can take, to minimise the recurrence of pests in and around your home ensuring you live pest free.